It is unbelievable that the Developer Preview 1 of Android O for Google Pixel, Google Pixel XL, Pixel C, Nexus 6p, Nexus 5x and the Nexus Player has already arrived as of March 2017. The usual schedule of arrival for Google’s latest Android OS (Android O in this case) was Google I/O developer conference, but this year it is too early it seems. It could be because of the early Android Nougat release, which was released to the public on August of 2016, which is few months earlier as compared to other Android releases. 1.1 When will my device be supported for Android O ? 2 How to Update to Android O on Google Pixel or Nexus device ? 3 How to Update to Android O on a non-Google device ? 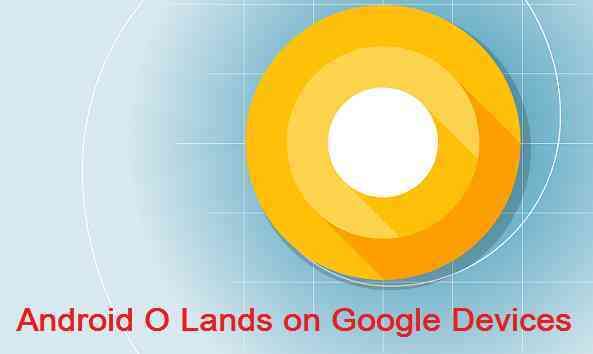 As the name suggests it is the upcoming Android O’s Preview for Developers and also the Device Manufacturers to evaluate and make their Application or upcoming devices ready for the next Android version. In addition to make the Application compatible, Developers may also add some new features available on the newest Android O in their Apps. This is just the first Developer Preview and there will be many more Android O Developer Previews released in the upcoming months. Everything will be unearthed in-detail at the Google I/O which is gonna held in the Month of May. When will my device be supported for Android O ? As always it is the Google Nexus and the Google Pixel users who enjoy this privilege. The latest Android O Developer previews or the final Android O itself for other devices will be released by their respective OEMs after the public release of Android O. In fact many devices might not have received the Android Nougat itself as of now. So, if you don’t own a Google made device then forget of the Android O for almost a year unless you are opting for Custom ROMs like Lineage OS, Resurrection Remix etc. How to Update to Android O on Google Pixel or Nexus device ? How to Update to Android O on a non-Google device ? I am sure many devices have not yet received the Android Nougat yet and many older devices are dropped from receiving the latest Android Nougat version. This is where the Developer communities like Lineage OS, Resurrection Remix and all other Custom ROMs come into picture. Devices like Google Nexus 5, Nexus 4 or even a much older Motorola Moto G phones are getting Android Nougat via these after market Custom ROMs. If you hold a new device it is very likely that you will be getting the Android O from your manufacturer. The update may take time after the public release of Android O, which may be close to 3 quarters from now. You need to understand that this is just the Developer Preview of Android O which has been released. Well, this is just the beginning of the next Android O. Stay tuned for more updates on latest Android O features, downloads and update guides.